Spencers Solicitors | 20 mph residential road limit: hindrance or life saver? 20 mph residential road limit: hindrance or life saver? August marked the start of Manchester's switch to 20 mph speed limits across many of its residential areas. One third of the city's roads, equalling over 1,100 streets and 111 miles, have been turned into 20 mph zone's, with the possibility that all of Manchester's residential areas will follow suit. Along with similar actions around the UK, this move has left people wondering if a 20 mph limit should be in place on every residential road in the country. Of course, the speed limit reduction is not without its detractors. Motorists are worried that the 20 mph limit will create traffic problems, congestion and further delays to their commute. In most cases though, it is thought that the impact of the lower limits on commuters will be minor, as it is hoped that by restricting the new low limit to just residential areas, there should be no real change to the traffic on major roads. 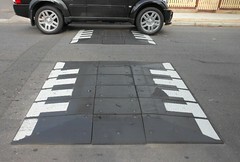 Some drivers are also worried that the 20 mph areas will give rise to more of the dreaded speed humps. And while some local authorities are considering road humps as part of their plans, Manchester have actively avoided this route. 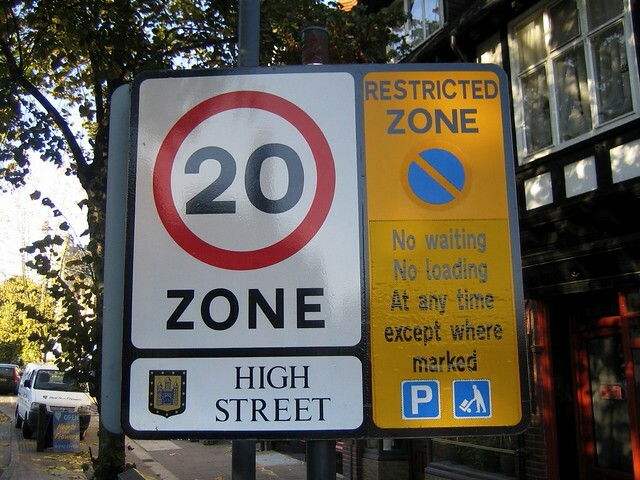 They are instead opting to ensure the 20 mph speed limit areas are clearly marked by signage, rather than speed humps or other types of disruptive traffic calming measures. Finally there are obvious concerns around the cost, as the scheme has used over £500,000 of public health funding during the two years it has taken to be rolled out. Nearby Bolton council even delayed their 20 mph speed limit plan due to a shortage of cash, and have now called on the government to intervene and invest more funding. For both sides of the debate, the enforcement of this lower speed limit is a concern. In Manchester they have designated community speed watchers, who are also supported by the police force. Motorists are made aware of the new limits through clear road signs, with speed limit signs at both start and end of the areas and repeater signs throughout - with consequences if these are ignored. In other areas where reduced speed limits have been introduced the first stage of the 20 mph shift will be focused on education, mainly building wider awareness and clearly alerting drivers. But whatever the policy, motorists are expected to follow the new speed limits and they can be legally enforced by the police from the very start. Nearly 80% of people are in favour of a 20 mph limit around schools and in residential areas, so the scheme is unarguably giving the community what it wants. Despite the critics, the long term goals of any speed limit reduction is to improve the quality of life and safety of neighbourhood residents, and this must be remembered. But with the Alliance of British Drivers now urging ministers to stop further the roll-out of 20 mph zones amid fears they are actually leading to a rise in casualties, the issue now doesn't seem as clear cut. While it may take some adjustment on the part of drivers and further analysis into the long term effects, if the ultimate goal is a reduction in the number of injuries and deaths on UK roads, then in my eyes it is most certainly worth it. Should 20 mph be the limit in all UK residential areas? Or should drivers be focussing more on the road than on their speedometer? Let me know your opinion in the comments.